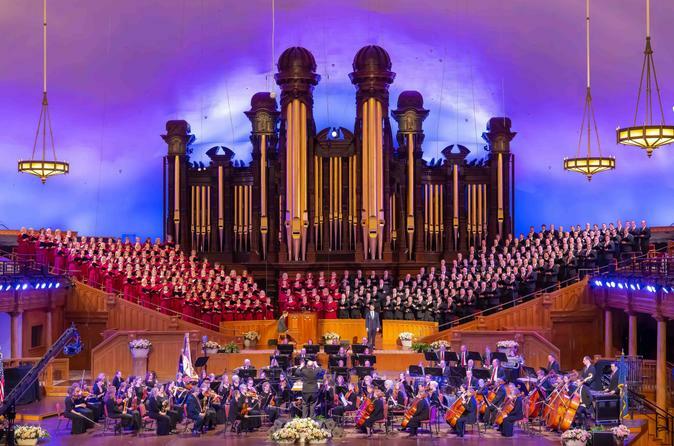 Hear the Mormon Tabernacle Choir perform or rehearse the "Music and the Spoken Word" concert, the world's longest continually running network broadcast! Then explore the best attractions of Salt Lake City with a professional tour guide who will entertain you with stories and trivia you wouldn't get on your own! See dozens of historic buildings, monuments, and statutes and hear the stories behind them. Begin your VIP experience at the entrance of your downtown SLC hotel, or a suggested free downtown parking lot, then embark on your sightseeing adventure! TEMPLE SQUARE: Hear the story of Salt Lake City and how Brigham Young and the Mormon pioneers built a "Kingdom in the Desert." Discover the details behind the iconic buildings of Temple Square as your tour guide takes you in around the largest Mormon temple in the world. Stroll the beautiful gardens of Temple Square.